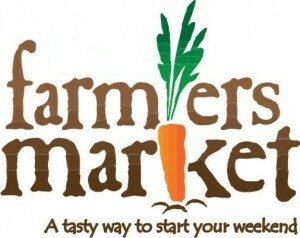 We will be at the New Albany Farmer’s Market this Saturday morning; 8:00-12:30. Be sure and stop by for your weekly fresh produce. We would like to take time to apologize for some of the strawberries you may have received last week, we picked on Friday afternoon as always and they looked beautiful. But the torrential rains we received on Thursday night and into Friday morning must have water logged them more than we realized. It’s been a challenging season for spring crops with the record hot and dry May then the volume of rain this past week. We take pride in all the produce we grow and bring to the market, again our apologies. All good things must come to an end… Kenny will be mowing and plowing under all the lettuces, mustard greens and spinach; kale and Swiss chard should be available thru the summer. It’s time to make more room for other produce and more tomatoes for later. Not to worry… we will have plenty at the market! On the tables this week you will find… cabbage, broccoli (few), cauliflower, peas, beets, new potatoes, zucchini, yellow squash, kale, cucumbers, green onions and carrots. More and more things are becoming available. Blueberries are about ready for picking, we may have some… at least for our “Basket of the Week”. Peaches are getting close, about 3 weeks for the first variety. Our weekly baskets are now available, be sure and pre-order by NOON Friday. The chickens are loving this weather and are producing well, they are giving us plenty of eggs to bring to market. Remember they sell out fairly early too.